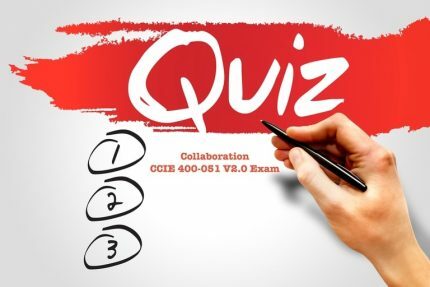 Get instant access to hundreds of CCIE Collaboration 400-051 (V2.0) Practice Questions. 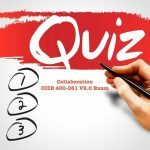 These quizzes includes updated material from Cisco CCIE Evolving Technologies V1.1 Update as well as Collaboration V2.0 changes, effective as of July 23 2018. 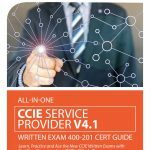 Which of the following statements are true about directory handlers and Cisco Unity Connection? Choose two. For voice enabled directory handlers, you can set the scope to the entire server or to a search space (either inherited from the call or specified for the directory handler). Unity Connection uses the directory handler search scope to define the objects that callers who reach the directory handler cannot find or hear. Unity Connection uses the directory handler search scope to define the objects that callers who reach the directory handler cannot find. Which of the following statement is true about Call Handler Transfer Rules Page within Unity Connection? Choose the best. Check or uncheck this check box and select Save to enable or disable one or more transfer rules. By design, the standard transfer rule cannot be disabled. Check or uncheck this check box and select Save to enable or disable one or more transfer rules. By design, the standard transfer rule can be disabled. End date indicates the date and time at which the rule is disabled, if it has been enabled until a specific end date. 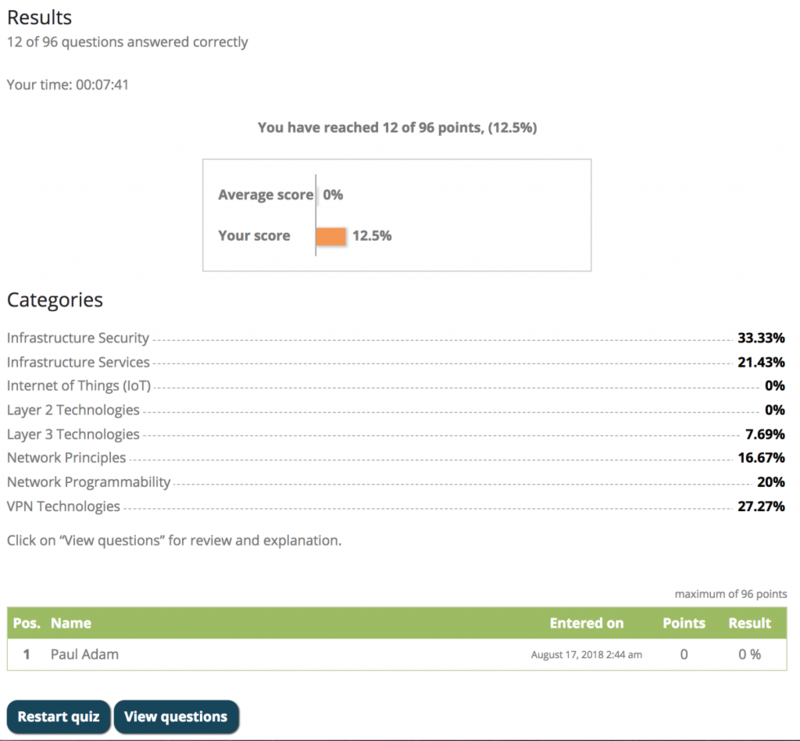 Which of the following statements are true about Cisco CRA and VoiceXML? Choose two. Cisco CRA Voice Browser currently supports VoiceXML 1.0 and a subset of new VoiceXML 2.0 elements. The Cisco CRA Voice Browser includes a custom version of voicexml.dtd with some minor enhancements. The Cisco CRA Voice Browser includes a custom version of voicexml.dtd with major enhancements. Which of the following statements are true about Cisco Unified Contact Center Express and RmCm menu? Choose two. To access the Unified CCX Configuration web page, choose Subsystems > RmCm from the Unified CCX Administration menu bar. Which of the following statements are true about IM and Presence service DNS set up? Choose two. If you are using DNS in your deployment, then the name of the publisher node is set to its FQDN by default. You must be able to resolve the hostname or the FQDN from all IM and Presence Service nodes, across all clusters. Make the required DNS configuration to ensure that the FQDN (not necessarily hostname) is resolvable from all client machines and all IM and Presence Service nodes. Which of the following statements are true about Advanced Scripting Techniques available within Cisco UCCX? Choose two. A Contact variable consists of a contact representing a telephone call, e-mail message, or HTTP request. Grammar variables specify the words or DTMF (Dual Tone Multi-Frequency) tones that the MCRA script can recognize. Which of the following statements are true about using Script Interruption available within Cisco UCCX? Choose two. Script interruption is a feature that allows external events to interrupt the current processing of a script in order to return to another part of the script or stop the execution of the script. By default, scripts are automatically interruptible before any step is executed. Should any external event (such as those described above) interrupt the script, it will continue processing based on the proper handling for the particular event before it begins to execute the next step. CRA 2.0 introduces a new "interruptible" option for some steps that allows you to indicate whether or not the script can interrupt the step from within when an external event occurs. If an interrupting event happens when the script is currently interruptible, the script is automatically interrupted whenever it becomes interruptible again. For example, although a script is not interruptible when it is running a subflow marked to disable interruptions, it will process the interruption as soon as the subflow terminates and control is returned to the parent (if that primary script is interruptible). Which of the following statements are true regarding Call Handlers and Cisco Unity Connection? Choose three. A call handler can serve multiple functions in Cisco Unity Connection. A call handler can answer calls, take messages, be part of an auto-attendant, play a recorded announcement, and transfer calls to users or other call handlers. Partitions and search spaces provide a way to segregate the global dial and message addressing space within Unity Connection. A partition comprises a logical grouping of objects that are identifiable by extension, name or SMTP address (such as users, contacts excluding call handlers). A search space contains an ordered list of partitions. Which of the following features are available by Unified CCX Package for Unified CM and Cisco Business Edition 6000 with Premium License? Choose four. Which of the following statements are true regarding Cisco Unity Connection 11.x ? Choose five. The tenant partitioning implementation does not require any additional licenses. 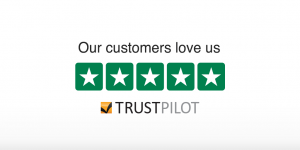 Each tenant is associated with only one phone system and Cisco Unified Communications Manager. Any other kind of networking like Diginet or VPIM is not supported. There is no way to share ports between multiple tenants. Each tenant has dedicated pool of ports. Overlapping extensions within a tenant is not supported. Tenants don’t have to provide users alias as corporate email address to maintain uniqueness of alias across tenants. Multi-tenancy mode is turned ON if there is any non-tenant user.